For those who love traveling around, Phu Quoc is recommended as the ideal choice to enjoy the beaches, do the sea activities, and more interesting activities. In order to know exactly what you can do in Phu Quoc, let’s check out this article below. Try to get out on a boat one evening for some squid fishing yourself. Make a visit to Phu Quoc National Park and swim in a quiet pool. Motorcycles are plentiful and cheap, hire one off a local and go cruising around the island. Petrol can usually be purchased around the island at various beaches served fresh in glass bottles. Also, the bicycle is a great way to observe the island. You can rent a mountain bike for around 50,000 VND per day at Saigon Phu Quoc Hotel or some local shops. Try scuba diving. The shallow waters allow even inexperienced divers to have nice dives. There is some nice coral to see and if you are lucky you might see a bamboo shark. There are several dive companies to choose from and they are all located close together making shopping around easy. Some of the more well-known companies offering diving on Phu Quoc are rainbow divers, Cocodive and x-Dive. Dives cost a bit more here than in Nha Trang at about $65-75 USD for two boat dives. The snorkeling tour (US$ 15) picks you up at your hotel in the morning and brings you to the islands in the south. It usually includes the boat trip, snorkeling gear, lunch, and transportation. Don’t expect to see a lot of fish and corals underwater, though. But still, a nice way to spend a day. Also, watching the sunset at Pho Bo Cafe, a 2 story place with the best view overlooking the lighthouse and the shrine, is the most romantic activity for couples and artist. Later, try wandering around the night market (near Ferry landing in Duong Dong Town), where locals mingled with the tourists, a place that offered a selection of goods, pearls, kinds of seafood, vegetarians, or even a playground for children. Established in 2001, Phu Quoc national park covers more than 30,000 hectares. When visiting this island, the national park is definitely a must-visit spot. 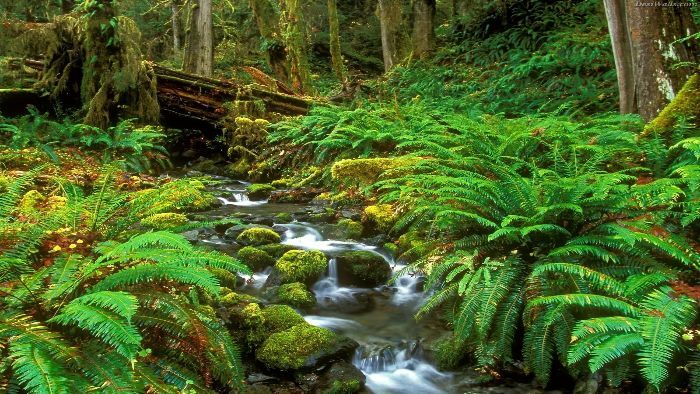 There is a wide range of landscapes from the types of rainforest, mangrove, wetlands, rocky mountains and coastal vegetations. This is home to over 1000 plant species and 200 animal creatures, whereas 12 plants and 19 animals are named on the red book. Basically, Phu Quoc still has many untouched sea regions, so it is no surprise that the sea water of Phu Quoc is clear and blue. The water surrounding the island is relatively warm and calm, so it is the ideal condition for diving in Phu Quoc, especially for first-timers. The island has rich marine vegetation with a beautiful coral reef which is expected to amaze you. Diving operators and tours are available on the island but there are two main diving destinations including the An Thoi archipelago and the Turtle Island. For Phu Quoc citizens, fishing is the way of living, it is no surprise that you can find a lot of fishing spots on the island. 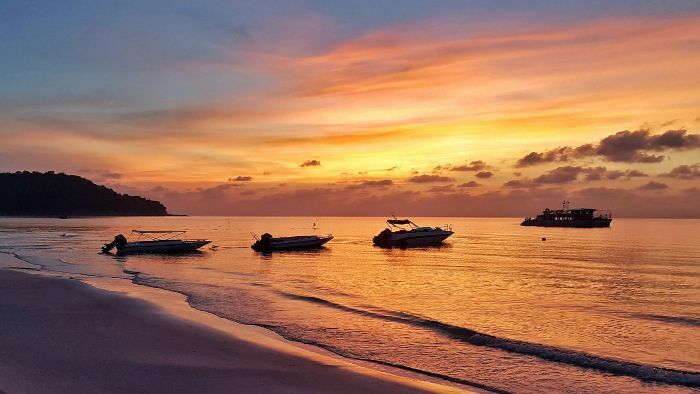 In order meet the experiencing needs of tourists, there are various fishing tours operating throughout the island, but the true experience is the night fishing trip, where you can catch squid and fish while enjoying the amazing view of tropical nighttime. If you have a successful night, you can ask your guesthouse or local restaurant to cook your fish for you. You can enjoy your achievement while spoiling yourself with a Vietnamese seafood delight. 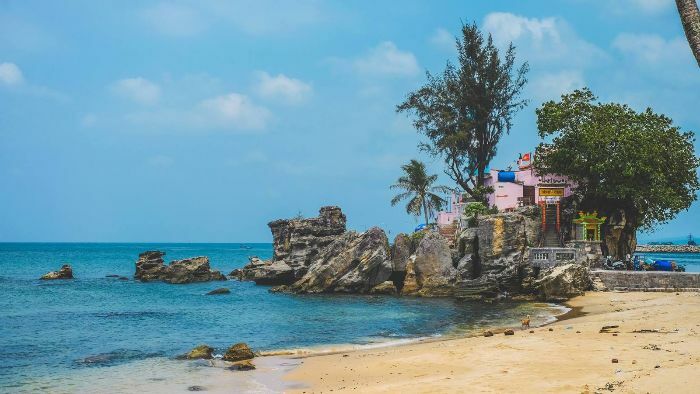 Dinh Cau Cape is referred to as the symbol of Phu Quoc, this is where the complex of tourist sites including Dinh Cau cape, Dinh Cau Temple and Dinh Cau lighthouse are located. The lighthouse and temple are the beautiful historical landmarks and the beach nearby is an excellent spot to charm the sunset. There are numerous activities to do in Phu Quoc for you to experience. Let’s come to Phu Quoc and enjoy yourself. Thank you!